Subhiksha is an orphanage dedicated to rehabilitation of street children by providing a home, food and education. Rehabilitation of street children is an extremely challenging task, as they are habituated to a life of instability and no one to look after them. A right atmosphere, active engagement and relevant education needs to provided in the new home, or else they will easily run away to their old life on the streets. The NGO is currently struggling with a severe cash crunch due to sporadic and uncertain funding. I am planning to raise Rs. 1,00,000/- (One Lakh) which will help them to survive for 6 months and also allow them to take in more children. The organization based at Hyderabad, is a registered NGO and has recently obtained 80 G certification. 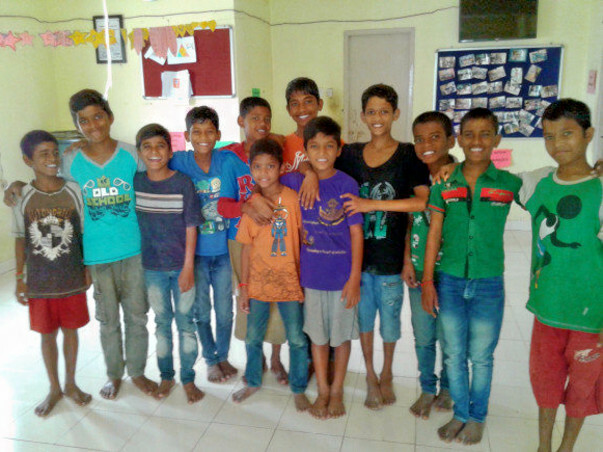 It is run by Mr. Kishore Pondi, a Masters in Social Work who has dedicated his entire life to this cause, having worked with street and slum children for the past 10 years. Typically donors make donations based on their perceptions of the utilization of funds. However, Subhiksha needs donors like you for a variety of expenses in order to sustain itself. The future of Subhiksha relys significantly on this campaign! Having steady funds will help Subhiksha direct their attention and efforts purely on the children’s rehabilitation. An educator: These children need an teacher who can adjust to their unique educational needs. Education is one of the primary focuses in Subhiksha, so please help them keep it that way! Food: With the current uncertain funding, Subhiksha is under pressure to feed the children under their wing. Food is basic human right, and no one, especially not children, should be denied a meal. Medical and psychological assistance: Subhiksha takes in street children and raises them 24/7, so good healthcare is a necessity. This campaign is going to help make sure the children at Subhiksha stay happy and healthy. Rs 40,000 - For providing education to Kids. 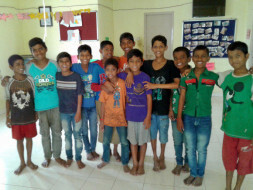 Subhiksha is the only NGO in hyderabad, which got NIOS affiliation. We are going to utilise these funds for setting up NIOS formal schooling system. Rs 40,000 - For providing food and shelter to Kids. Rs 20,000 - For proving Medical and psychological assistance(As these kids are on the streets since their birth, providing psychological assistance is utmost important step to reform these kids). How are the children identified and brought to the home? The organization takes great care in identifying children who are either orphans or from abandoned parents. They usually make a living begging and rag picking. The director has gone to great lengths to build trust and rapport in the areas from which Subhiksha identifes children in need of help. Yes, of course all of you are welcome to visit us and spend some time with kids! Please send an email to director@subhiksha.org. Is there a way I can track where my donations go? Subhiksha is currently working on a way to make the records of your donations easily accessible and understandable. If you have any questions, please don't hesitate to contact director@subhiksha.org. Is there a website or facebook page for Subhiksha? Thank you for taking the time to learn more about Subhiksha! Hope you join the mission to help them succeed!